This black trunk lid pouch fits the GL1800. Comes with Velcro closures and reflective tape. 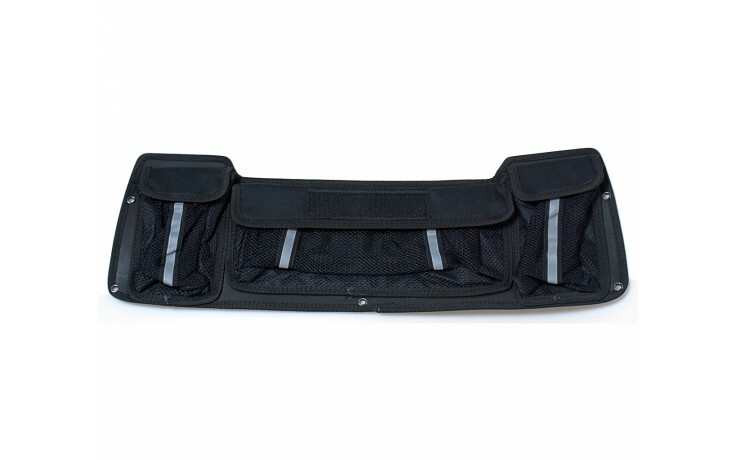 This black trunk lid pouch fits into the trunk lid and allows for more trunk storage and quick to reach items. 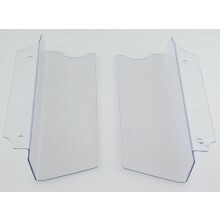 Our slim line design allows more room up into the lid for items like helmets. Velcro closures are on all pockets. We have included reflective tape for added safety when stopped on the side of a road. Mounts into existing hardware. Fits the GL1800.